Has anyone seen this issue with Roku TV. Hard to describe in words. I bought the TCL Series 6 yesterday. Today I was setting up my Harmony remote to work with it, adding activities. I can't say exactly what it was doing when the issue occured, but I am guessing it was switching from a channel to the home screen. Anyway, the screen went crazy. Everything turned reddish pink, the tiles zoomed way in, everything went blurry or staticy. Turning the TV off and on did nothing to fix it. I had to unplug it and then plug it in and it was fixed. Hasn't happened again, but I just got this thing home and now I am already thinking it is broken. I have seen this issue sometimes pop up with my roku stick on another tv. Usually end up pulling it out of the HDMI port and plugging it back in. I had always assumed it was just an issue with the HDMI connection. I should have gotten a picture of it, but didnt. I did find something online that looked similar in a reddit thread that I will post. Not identical to how it looked but pretty close. So, just wondering if anyone knows what this might be? If it is just something that Rokus tend to do from time to time I can handle it. But if it is a symptom of a bad part in the tv or something I would love to find that out now while I am still in my return window. 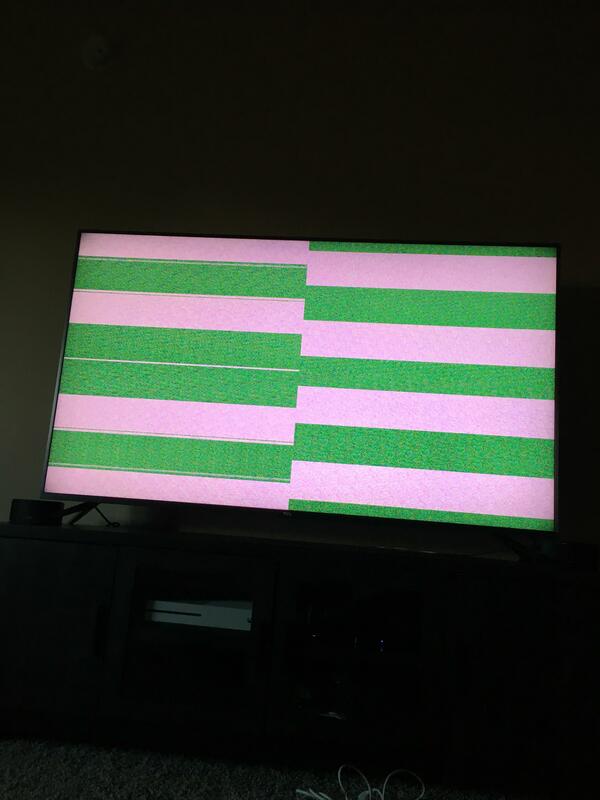 Re: Has anyone seen this issue with Roku TV. Hard to describe in words. Hi there. Thanks for the note! Let us know if you have any other questions we can help assist with!